A motion is to be presented before Zimbabwe’s parliament today as impeachment proceedings begin against President Robert Mugabe. It follows the expiring of Monday’s deadline demanding that the 93-year-old leader resign. Normally the process is a long-winded affair involving joint sessions of the Senate and National Assembly, followed by committee meetings needing a two-thirds majority, however the ruling Zanu-PF is expected to push it through quickly. Zimbabwe’s military says talks are planned between President Mugabe and the former Vice President Emmerson Mnangagwa whose sacking two weeks ago triggered the recent military intervention. Mnangagwa is due to return to Zimbabwe shortly. 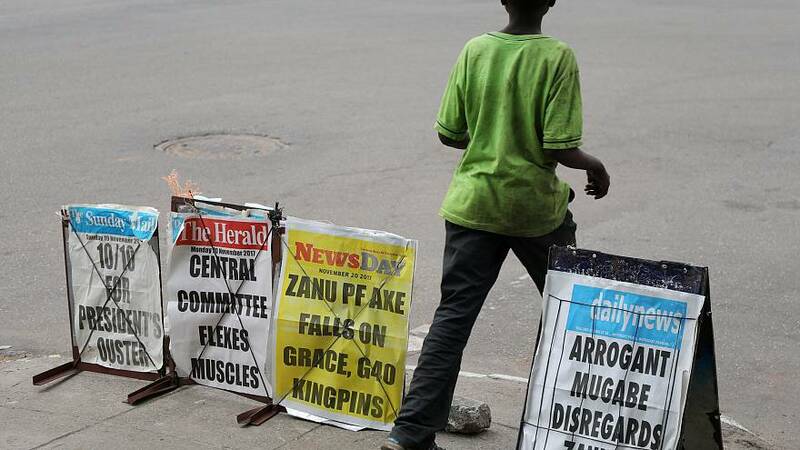 Calls have gone out for people to remain calm during the political crisis but there have been street demonstrations in the capital Harare. Students took to the streets singing anti-Mugabe songs and brandishing anti-Mugabe placards.